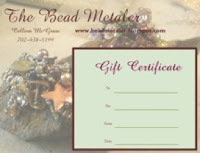 The Bead Metaler: Check this out. Turn off my juke box on the right hand side of my blog and watch this amazing video. That was amazing!! Stand ovation over here!! I saw this on your blog the other day but didn't get a chance to watch it until today, this is INCREDIBLE!!! I love how they started with oldies and worked through the generations to more modern music! They must have practiced a LONG time, now that's what I call dedication!